Spring has arrived early in southern California. 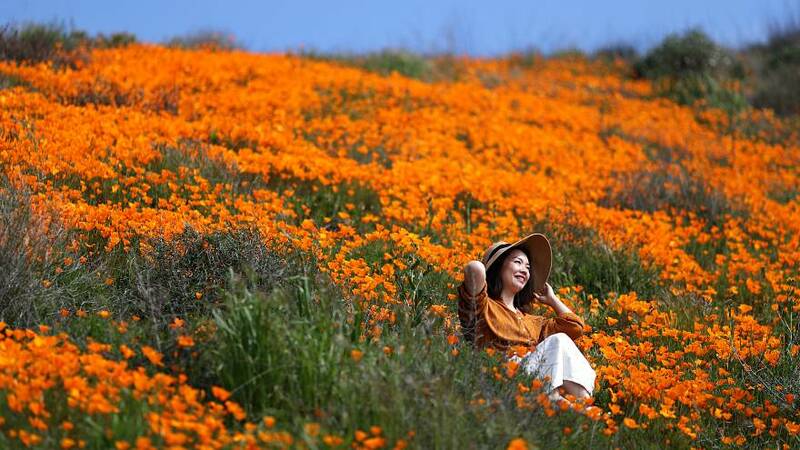 After weeks of heavy rains, a super bloom of wild poppies has covered the hills around Lake Elsinore, southeast of Los Angeles. The super bloom has left hillsides in the area carpeted with golden and orange flowers, something which Lake Elsinore's Mayor Steve Manos hopes will bring tourists to the area. "Thanks to the rains, 2019 happens to promise a super bloom event like we haven't seen in several years," he said. "This should attract thousands of people out to observe the flowers... it will go on for roughly about a month and we are excited to get the visitors out here in Lake Elsinore."